Any business out there utilising Facebook to build a community and engage with their audience will no doubt have days when they are simply frustrated at the lack of reach and engagement on their posts. You plan your content, you create a compelling post and you send it out at the optimum time to ensure your followers are online and ready to receive your update. Job done, right? Well, not quite. Check back after a day or two and you may be surprised to see that only a small fraction of your followers have seen the post. This can be around 10%. So if you have 1000 followers on Facebook, only 100 people are likely to see your post. So frustrating after all that effort. So, what can you do? Before you reach for the credit card, you need to make sure that you are creating content that your audience will engage with which means knowing your audience and being able to create content that they will love and want to share. It's also useful to know when your followers are online and more likely to see your post. You can find out this information by looking at your Insights reports. Browse to the 'Posts' report to see when your fans are online by day of the week and time of the day. You'll likely see a peak in the evenings when people are at home and have the time to check in on what's happening on Facebook. You can almost improve your reach by prompting your fans to engage. For example, asking them to share, leave a comment or tag a friend. You don't have to beg for a like - no one wants to look needy - simply create content that asks questions and provokes a response. Once you're confident that your strategy is right and it's just Facebook's algorithms restricting your posts' reach, it's time to dust off that wallet and consider investing in some paid promotion. 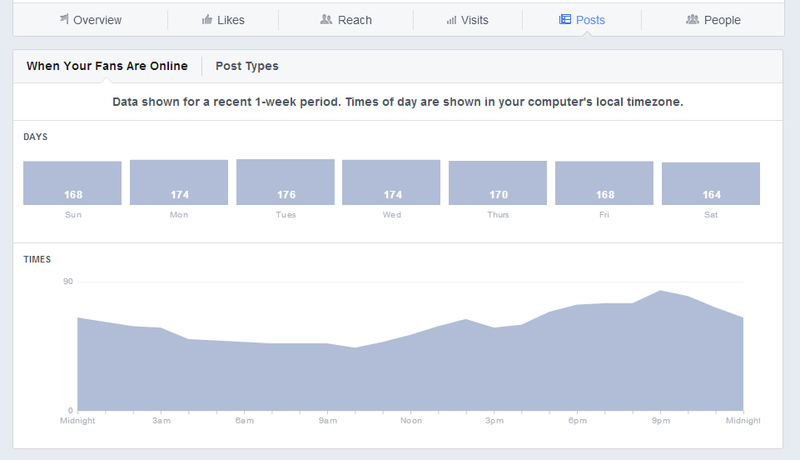 The simplest way to do this and increase the reach of your post is to use the 'Boost' option. Here you have the option to pay to get your post in front of your followers (not just a select few). You can also use the Boost option to reach a new audience and target people based on location, age, gender and interests. If you really want to reach a new audience and target people more effectively, you should definitely consider using Facebook's Ads Manager and start creating audiences that will engage with your content. Paying for Likes may sound like cheating, but with the way Facebook works, it could be the quickest way to start generating engagement on your posts, maximising the results from the huge efforts you are already making to create and share content. Newer PostIs Keyword-Based SEO Dead? Older PostThe Google Goal Posts Have Moved Again – Should We Change Our SEO Tactics?